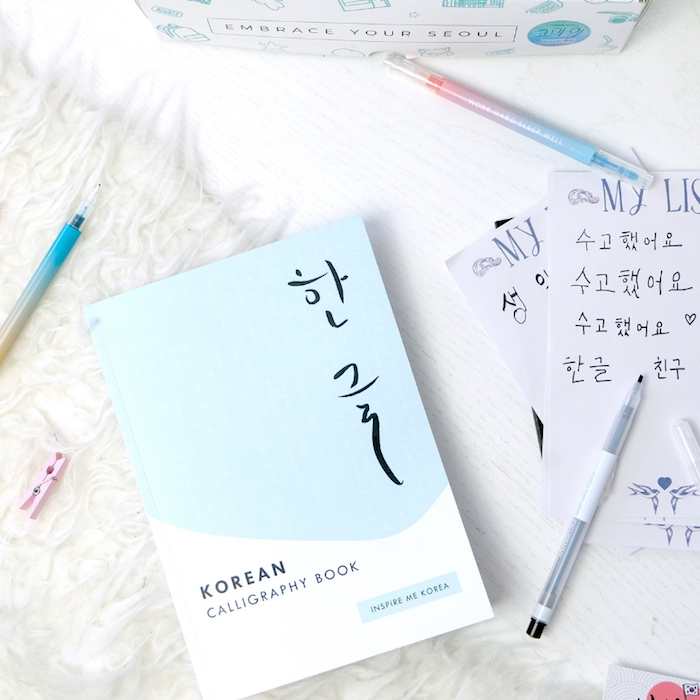 An exclusive Inspire Me Korea Korean Calligraphy book to take your handwriting to new heights, this book is great for any level of Korean learners looking to practise Korean writing and beautiful calligraphy! With different fonts and commonly used beginner level words and phrases to learn and practise with. Get this book as part of the Inspire Me Korea HANGEUL box filled with other goodies to help you learn and master the Korean language.